There are certain unwritten rules and rituals that every teenager and young adult knows. Unwillingly we all obey these rules meaning we’re all playing games. What I am talking about of course is relationships. Who makes the first move? Is it okay to text the day after you meet or is that too eager? How soon in to the relationship can you say ‘ I love you’ ? There are so many questions but in reality there is not just one answer. Every relationship works differently. None of my friends approach relationships in the same manner because we’re all different therefore it only makes sense to have different approaches towards our love life. What I hate though is the feeling that you have to do certain things when you first meet someone new. Courtship in this day and age is far from romantic- it’s stressful. Both parties realise they’re trying to leave a good impression but in reality are just lying to each other and themselves. Isn’t it best to just be yourself? Do what you feel is right instead of what you’ve been told you should do? I’m far from a relationship guru but I’ve seen this game played in a million different ways and I myself have done this too. At the end of the day, It’s best to be yourself, they’ll discover the real you soon enough- better sooner than later right? I cannot remember the last time I had a good nights sleep. I work from deadline to deadline and once I finally finish the course-work for one subject I am then forced to immediately focus on another. I’m pining for summer! hopefully this will all be worth it though, no-one becomes successful in life without trying right? Anyways, I’ve just finished a watercolour painting I was doing today for my portfolio and thought I’d share it. 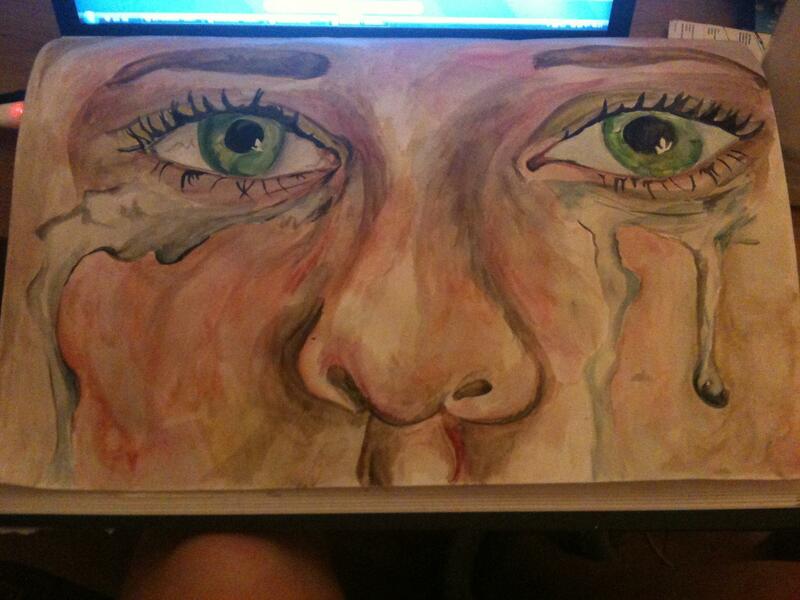 The girl who I drew is my best friend and she was remarkably talented at crying on demand. Hope you like it! Those little foam balls they hand out for stress relief do not solve any kind of problem. You can squeeze a stress reliever all you want but I don’t really comprehend what problem is so easy that it can be sorted with the simple action of squeezing a piece of foam. I’ve been having a super stressful time lately and have consequently met a new side to me that, I have to say, isn’t very delightful. Deadlines and everyone else being equally stressed causes my natural charm and general loveliness to evaporate in a matter of seconds and worse of all, I’m not one to repress my feelings. I, unfortunately, am the kind of girl to scream at the person next to me for accidently bumping into me or start crying uncontrollably because someone’s Facebook status tells me my friend has ‘finally’ finished the coursework I was proud to have completed the first paragraph for. Needless to say that my hulk-like behaviour needs to be tamed and although my first instinct is to drop out of school and lose hopes of ever getting a degree or do anything with my life, I highly doubt my parents will support me in that ideal. A lot of my friends do odd things when they’re stressed or nervous. My best friend pulls out her eyebrow hair (which is truthfully a lot more disturbing for me than it is for her), another of my friends just shuts everyone out and lives in their own bubble choosing to ignore the world around them, my mum uses relaxation and meditation and my fellow students opt for procrastination in the hope that their deadlines will forget about them and run away. My point is, that stress is definitely not recreational and causes odd or anti social behaviour which leads to fall-outs, tears and tantrums, not to mention the occasional unwelcome grey hair. 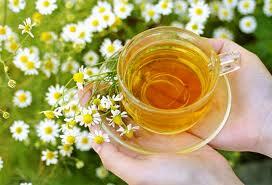 I’m sipping camomile tea in the hope that, if nothing else, some sort of placebo affect is created and I feel a lot calmer and less likely to go into a fit of rage. Sorry for anyone who crosses paths with the stressed-out-me, feel free to shout back or hit me if I become annoying (although I fear I’ve already crossed that line).